Zachary Shuman was born and raised in West Hartford, CT. A graduate of Hall High School, Zachary attended both Johnson & Wales and the Center for Culinary Arts in Cromwell, CT. Growing up in a restaurant family, his father owned a large kosher catering company for 20+ years, his uncle worked in corporate culinary, and his great grandfather owned two restaurants as well as a large catering company. As you can see, Zachary’s passion for the culinary world runs through his blood. 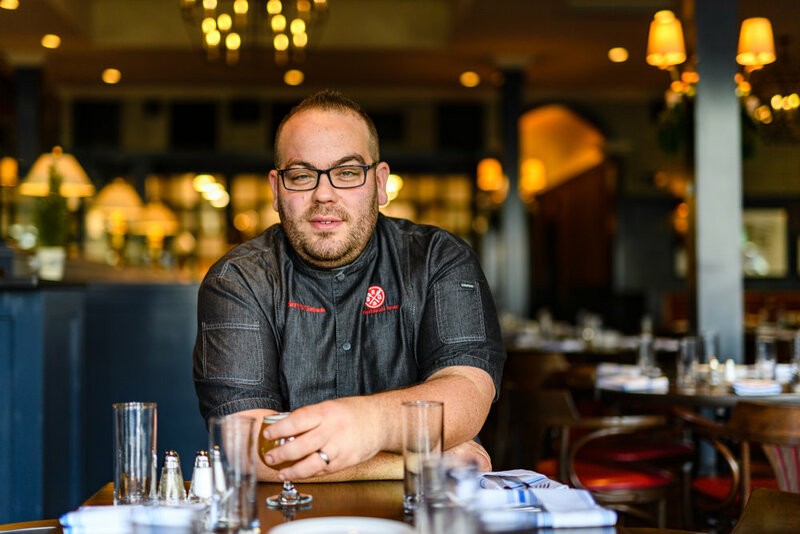 After working for his father from ages 6 to 15, Zachary began working for notable Connecticut chefs and restaurants including, Avon Old Farms Inn, Simsbury Inn, and Cavey’s. Zachary also had the honor of being the Chef de Cuisine for celebrated chef, Todd English, at his flagship restaurant, Olives, in Charlestown, MA. While working with Todd English, Zachary was able to enjoy short stints in both Las Vegas and New York City. In January 2015, Zachary joined the Bean Restaurant Group as the Executive Chef at the Student Prince. He was able to transform the 83 year old restaurant into a culinary destination. Zachary became Corporate Chef for the Bean Restaurant Group in 2018 and is now a partner in 4 of 12 units. When Zachary is not mastering his craft in the kitchen, he is spending time with his wife, Julie, and their new baby boy, Blake.